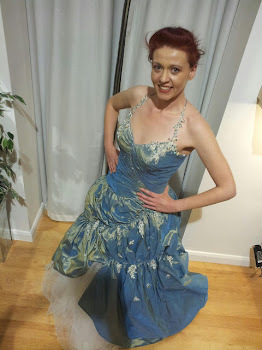 This dress is a stunner - I adore it, I love the sea foam blue and the rouching around the top. It was originally a wedding dress, but I bought it for a ball, it is covered in dainty crystals and sparkles beautifully as you dance around the floor. 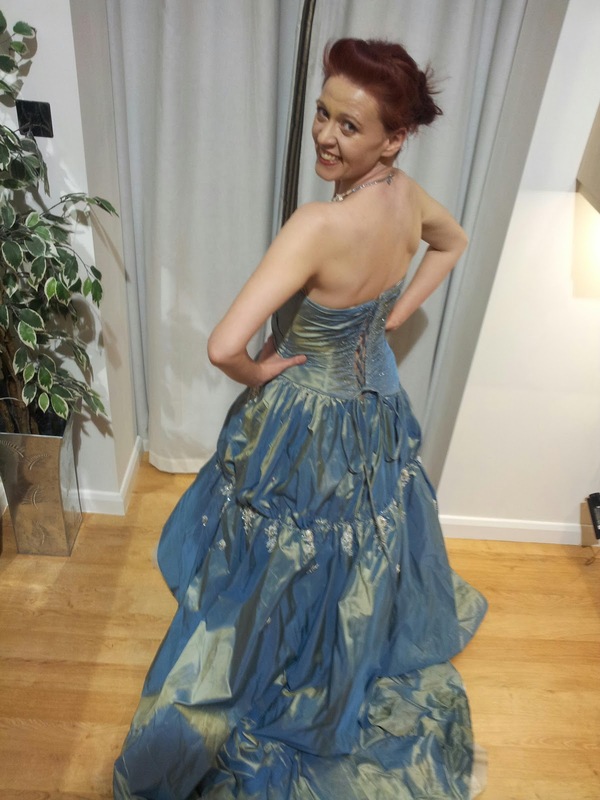 My friends say I look like Ariel from The Little Mermaid, in this ball gown, I feel like a princess wearing it, and it makes my eye colour really "pop"